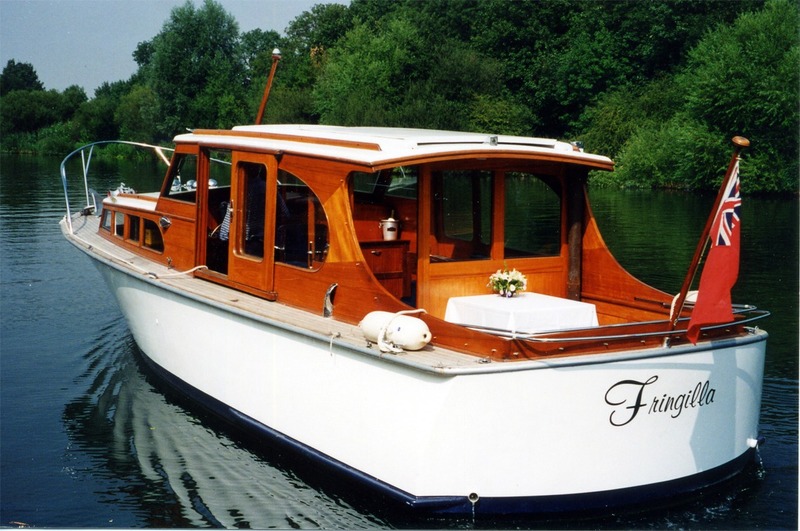 We offer a selection of three boats available for hire in Windsor, Maidenhead and Runnymede. If you would like a superb cruise on the River Thames then this could be just the site you are looking for! Whether for a special occasion, business or simply pleasure then look no further, a trip on one of our luxury boats is for you. 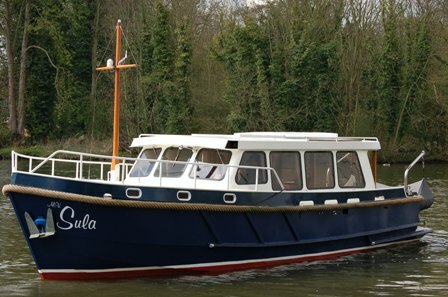 We run a fleet of three luxury river cruisers based in various locations on the Thames, for more information please use the navigation bar at the top of the page, or click on one of the pictures below to see details of that boat. We are now able to offer a private mooring for visitors to Bray Village, The Fat Duck, Hinds Head, The Crown and Bray Cottages. 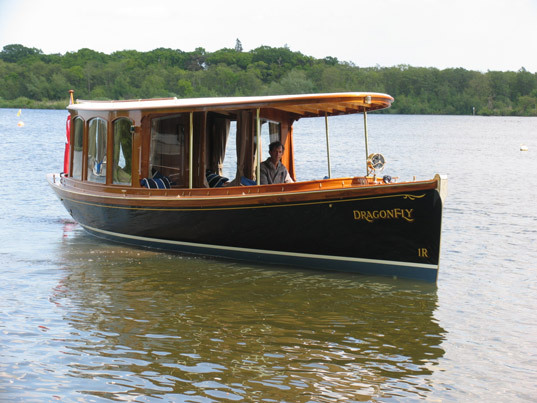 We will of course continue to operate boat trips directly to The Waterside Inn for those with a reservation. 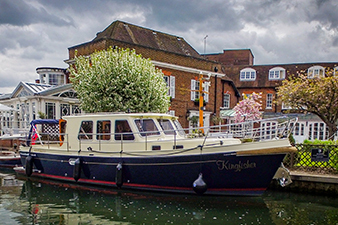 Fringilla, based in Maidenhead. Dragonfly, based in Maidenhead. 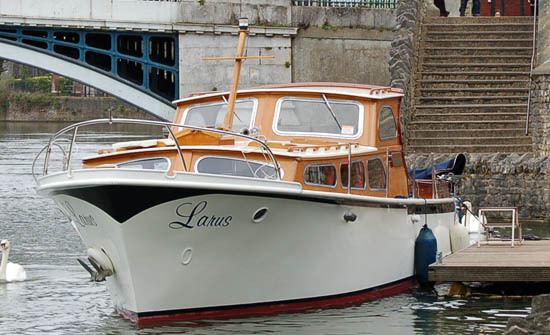 Larus, based in Windsor. Sula, based at Oakley Court Hotel, Windsor. In addition to our fleet of luxury vessels we are able to offer Filming and Safety Boat services.